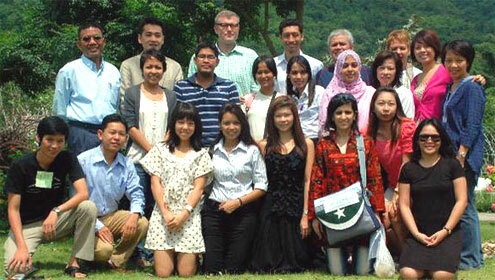 The first gathering of the International Academy for Leadership (IAF) Alumni Group in the Southeast Asia region was held on August 18-20, 2010 in Ratchburi, Thailand. The activity paved the way for alumni networks in Burma, Cambodia, Malaysia, Philippines, and also Pakistan to meet each other and exchange ideas. The aim of the workshop was to galvanize the activities of the network in their respective countries and in the region. An action plan per country was developed to outline the targets of the Alumni Group. Replication of IAF seminars was encouraged where alumni from other countries may also participate. Publications such as the Philippines’ alumni directory and compilation of IAF seminar reports (Notes on the Academy), and Malaysia’s training modules were promoted. The challenges of sustaining the network were raised. More commitment from the members is expected, which should be a criterion in the selection of participants for seminars abroad. 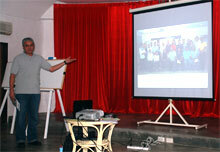 Malaysia and Cambodia Project Director Moritz Kleine-Brockhoff organized the Networking Workshop. Dr. Carolyn Mülverstedt of German Academic Exchange Service (DAAD) Bangkok was a resource speaker. “In such a short time, a number of lessons were learned and ideas were put forward which would hopefully redound to a more active and involved IAF Alumni Group,” said Atty. Myrfi Gonzalez of the Philippines Alumni Group who attended the workshop with Wilfredo Prilles. The IAF Alumni Group in the Philippines currently has 184 members that include Department of Budget Management (DBM) Secretary Florencio Abad (Political Leadership Conference, Berlin 1999) and Department of Interior and Local Government (DILG) Secretary Jesse Robredo (New Public Management, Gummersbach 2009). It has done IAF replication seminars on education, new public management and property rights.